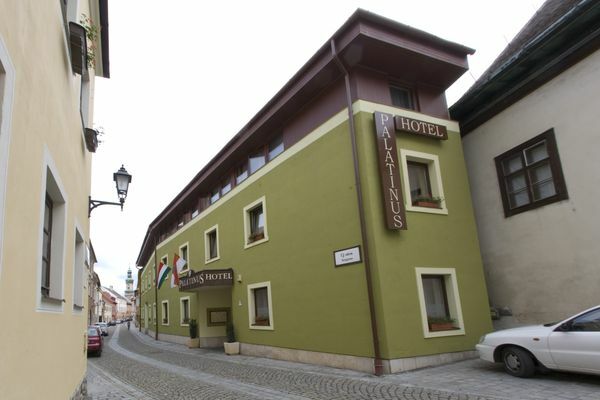 The Palatinus Hostel, that is one of the well-known Hostel of Sopron, is waiting for its dear guests. You can find the Hostel in the best part of Sopron, in the middle of the historical city-center, that gives an opportunity to those also, who are only visiting for business to visit the city. The Palatinus Hostel is waiting its guest with its renovated rooms and with moderated prices. The Hostel is having a quality of 1st class, it's homely with a living accommodation of 60 person. We have single and double rooms (standard and superior) and apartmans equipped with air conditioner, coloured TV, shower, and toilet. • Half board is available at 3150 HUF per person. • The hotel's own parking lot is available for the guests at 2000 HUF per car per day. • Public garage is available near the hotel, charges apply. • Pets are allowed for an extra charge of 2500 HUF per day. • Reservations can be cancelled free of charge up to 3 days prior to arrival until 18:00.